Three slain Hampton police officers killed in the line of duty were honored on June 1, 1995, with the formal dedication of Honor Park. Honor Park is located between the Public Safety Building and City Hall. 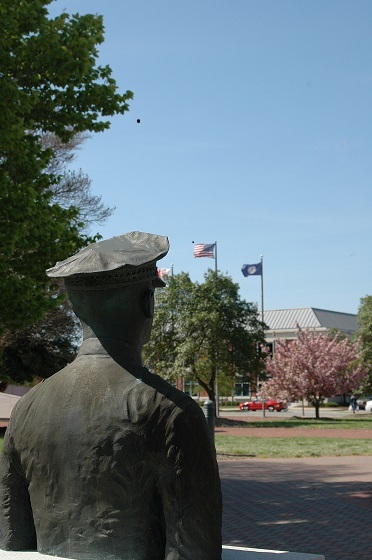 A bronze bust of each officer, resting upon a marble monument, rings the park. A plaque cites their names, dates of birth and dates of death. At the entrance of Honor Park, a separate memorial dedicates the park to the memories of the slain officers. The City of Hampton encourages both its citizens and visitors to use the park as a place of quiet recollection, healing and recovery. We pray that this park shall promote renewed hope, pride and brotherhood in our city and in ourselves. Visit the Officer Down Memorial page to read more about the officers.